For Barack Obama’s inauguration, Washington Dulles International Airport had to close a runway to accommodate private jet traffic. According to aviation authorities, the D.C. area had never before experienced so large an influx of corporate jets—around 500 in total, or almost double the number for George W. Bush’s second inauguration. And this was to celebrate the presidency of someone who had run on a platform that included tax hikes for the rich and a crackdown on Wall Street. In the victory over John McCain, Obama had turned out the traditional Democratic base, but he was helped along by a less likely set of supporters, a group that Forbes dubbed “Obama’s billionaires.” The group included big names like George Soros, Warren Buffett, and David Geffen, but it went way beyond them. When it was all over, Obama had raised more money than McCain in eight out of ten of the wealthiest zip codes and won seven out of the ten wealthiest counties. He captured voters making over $200,000 by six percentage points. Was this a once-in-a-lifetime fluke, or will these well-heeled backers still be around in 2012? That might seem unlikely after the fights over health care and financial reform. Campaign records show a shift in industry donations toward the Republican Party, and things could get uglier as Obama pushes his promised tax hikes on high earners, which are in the budget plan now before Congress. But Obama’s billionaires may just stick around. 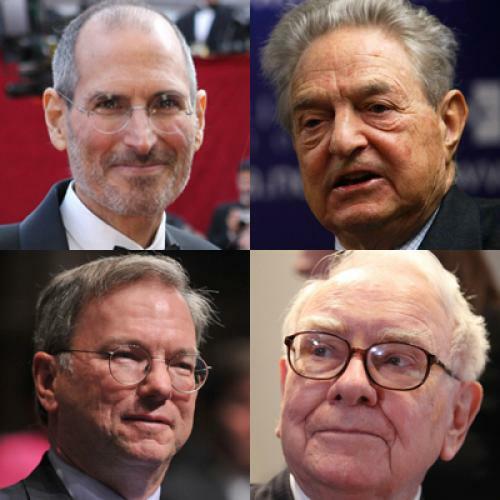 These are not your textbook plutocrats who are dead set against government and taxes. They worry about poor people and pollution. They want government to make sure that Americans have the kind of education they need to compete in the global economy. They don’t seek to drastically upend an unequal economic order in which they have thrived, but they do want to sand down its harshest edges. They are post-New Deal liberals—cautious, technocratic, and non-populist—like Barack Obama himself and many of the people who work for him. And, if they do stick around, they could change U.S. politics. For better or for worse, Obama’s wealthy backers are the vanguard of a trend that is transforming business and the politics of business. While still a minority of the upper class, their numbers and wealth are growing. They have backed Democrats before, but Obama’s election may be the first clear indication of the influence they are going to have on American public life. Rich liberals are, of course, nothing new. The term “limousine liberal,” coined in 1969, long described wealthy donors from Malibu or New York’s Upper West Side who bankrolled liberal social and foreign policy causes. But the new post-New Deal liberalism of affluent America is far more extensive. It is rooted in the shift from a manufacturing to a knowledge economy. This shift has vastly enriched what Richard Florida calls the “creative class”—highly educated professionals and entrepreneurs who deal with information, technology, and ideas. Many of these people have progressive preferences—and not just on endangered species and gay marriage. Why is that? For starters, the more educated you are, the more likely you are to question rigid hierarchy, be tolerant of cultural differences, and reject traditional values. These correlations aren’t found only in the United States; they are also evident globally, as the political scientist Ronald Inglehart has shown through the World Values Survey. Although education can obviously open one’s mind to new ideas, Inglehart suggests a deeper underlying dynamic, which is that the educated are more likely to have been raised in economically secure families. People who grow up feeling secure tend to focus more on self-expression and worry less about maintaining order. They are “post-materialist.” The insecure, by contrast, are prone to see the world as a precarious place that requires strong authority and traditional values. This explains why upper-middle-class college kids were on the forefront of the social and political movements of the 1960s, but it doesn’t account for today’s rich liberals. Back then, a highbrow degree in math or computer science didn’t have that much to do with getting rich. The main path into the wealthy upper class, beyond inheritance, was through large corporations and banks that prized conformity over creativity. That equation changed with the explosion of the knowledge economy over the last four decades. Suddenly, being able to “think different,” as Apple famously advised, could lead to big-time wealth. Today, brainiac entrepreneurs who strike out on their own to “monetize ideas” are heavily represented among the liberal new rich—like Google co-founders Larry Page and Sergey Brin, who are each worth $17.5 billion and lean left, as does Google CEO Eric Schmidt, who stumped for Obama in 2008. Apple founder Steve Jobs has almost exclusively given money to Democrats. And, since 1999, eBay co-founder and computer scientist Pierre Omidyar has handed over $150,000 to Democrats and only $4,000 to Republicans. Plenty of other educated people have started to pull huge incomes as advanced cognitive skills—from writing software to deciphering legal briefs to creating stock-trading algorithms—have become much more valuable. And it turns out that many of them are liberals. Computer scientist and former academic David Shaw, who created the wildly successful hedge fund D.E. Shaw & Co. is a huge contributor to Democrats, as are many of his extravagantly paid employees. The firm boasts that “over 100 of our employees hold Ph.D.s ... and approximately 20 percent are published authors whose work ranges from highly technical papers in specialized academic journals to award-winning mystery novels.” In the 2008 election cycle, 89 percent of the firm’s political contributions went to Democrats. There is also a symbiotic relationship between the metro areas where the knowledge economy has exploded and the politics of the people who live there. Information-age firms have taken root in places where the most-educated people live. Many of today’s new fortunes are being made in the Bay Area, Seattle, New York, Los Angeles, Boston, and suburban Washington. Some of these places were already liberal; the new money has helped move others sharply to the left. None of the ten richest U.S. counties are in states won by John McCain. Nowhere has wealth piled up faster than on the West Coast. California, which is home to two of the largest knowledge-based industries—high technology and entertainment—has way more billionaires than New York, as well as four out of ten U.S. counties with the most millionaires. Once a bastion of New Right money, its wealthy counties now trend left. The state of Washington has followed a similar trajectory. Once known for cutting down trees and making airplanes, it is a high-tech mecca—the home of Microsoft—and has become a lock for Democratic presidential candidates. The old economy rich haven’t disappeared, but they are steadily falling behind. Fifty years ago, industrial giants dominated the Fortune 500; now, only six old economy companies rank among the top 20 firms. Today, nearly one-third of all the billionaires on the Forbes 400 made their fortunes from technology, finance, entertainment, and media—compared to about one-eighth of the list who made their money in energy, manufacturing, chemicals, lumber, or mining. The old economy rich lean right for familiar reasons. If you run a meatpacking plant or chemical refinery, you’re more likely to be in conflict with unions and government regulators. You don’t depend on educated workers to the same degree and don’t need to be as educated yourself. And, because many of these companies have moved South to avoid unions altogether, you’re increasingly located in red-state America where conservative values predominate. The old economy rich still pump a fortune into politics, and this money goes overwhelmingly to Republicans. Their clout matters, only not as much as it used to. The mining industry, for example, is still powerful enough to subvert safety regulations, as we were reminded when 29 miners died in an April disaster in West Virginia. But it is no longer the power player it used to be. Political contributions from the entire coal industry were $3.48 million in 2008—while Microsoft employees alone contributed $3.3 million. Today’s rich liberals have been shaped by the cultural and economic priorities of a knowledge economy. They are cosmopolitan in their outlook. They favor gay marriage and abortion rights. They support free trade—even as it devastates swaths of the American heartland—and want to encourage immigration, especially of workers with technical backgrounds. They understand the science and, therefore, worry about the environment and global warming. They live in metro areas that also house many African Americans and the immigrant poor. They know that the economy is not working for everyone, and they want to do something about it. They embrace Andrew Carnegie’s famous insight that individuals only get rich because society supports them—a truth all the more obvious in the information age. Carnegie backed higher taxes, and today’s new rich are doing the same thing. Reed Hastings, a Silicon Valley veteran and the CEO of Netflix, published a New York Times op-ed titled “please raise my taxes” in early 2009. The article opposed a rule to cap CEO pay as misguided meddling and instead suggested a hefty 50 percent tax on salaries over $1 million. During the campaign, Obama backed a Senate bill that would double the taxes for hedge-fund managers, but, according to the Center for Responsive Politics, Democrats and Obama got 65 percent of the contributions from hedge funds that year. Hedge-fund billionaire Thomas Steyer threw one of the biggest Obama fundraisers of the entire campaign. Steyer told Fortune, “There is definitely a strain in American capitalism where people believe that they have made the money on their own, basically working single-handedly as an individual to create wealth for themselves. I completely disagree.” The hedge-fund rich did their share to blow up the economy, and some have lobbied against financial reforms, but they are surprisingly liberal on taxes. The new economy rich often favor tax increases because, in contrast to Republicans and their business backers, they enthusiastically support increased government spending on education, health care, and scientific research. Long before Bill Gates took up causes like malaria, he fought to protect education spending in Washington state and lobbied Congress to pump vast additional funds into basic scientific research. Reed Hastings spent $1 million, and Silicon Valley venture capitalist John Doerr and his wife $6 million, to pass a voter initiative in California that makes it easier to fund school construction. More recently, tech leaders have become big supporters of government doing more—much more—to support renewable-energy technologies. High-speed rail and faster broadband are also favorite causes. Of course, not all the products of the knowledge economy became post-New Deal liberal Democrats. Some welleducated Wall Streeters helped start the original Political Club for Growth, a prime funder of right-wing Republicanism. And some prominent veterans of the knowledge economy have become Republicans. But most of them, including Michael Bloomberg, Meg Whitman, Arnold Schwarzenegger, and Mitt Romney, are or at least were moderates with outlooks only marginally different from those of high-tech Democrats. If, like Romney or Whitman (who gave Barbara Boxer $4,000 in 2003), they have become more conservative, they have done so in order to court the rabidly conservative Republican primary electorate. Most of the new economy rich are in the political middle, where they have been more likely to feel comfortable in the Democratic Party. This shift toward the Democrats matters for politics because the new economy rich are loaded. When Bill Clinton ran for president in 1992, he raised a paltry $84,000 from the Internet and computer industries. In 2008, Obama raised $8.5 million from these industries, with over $800,000 coming from employees at Google, a company that has produced several billionaires and hundreds of millionaires since going public in 2004, most of them Democrats. (Democrats received 82 percent of Google contributions in 2008; the number was 91 percent in 2006.) Santa Clara County, which covers Silicon Valley, now has many more millionaires than Manhattan and votes Democratic by nearly as high a margin. King County, which includes Seattle and Microsoft’s Redmond, has more millionaires than any county on the Eastern Seaboard. Wealthy technologists have also funded progressive organizations and media outlets. MoveOn.org was created by two successful software entrepreneurs. Quark founder Tim Gill is one of the biggest backers of gay rights, along with David Bohnett, who made his fortune from selling GeoCities to Yahoo. Rob Glaser, the founder of RealNetworks, helped bankroll Air America and has given millions to progressive groups. Jeffrey Skoll left eBay with several billion dollars to start a socially minded film company that produced An Inconvenient Truth and Fast Food Nation. Other seriously rich techies, such as Steve Kirsch and Mitch Kapor, have spread their money to a variety of liberal politicians and causes. New economy wealth will keep reshaping the electoral map, and in ever more surprising ways. The once-conservative metro area of Omaha, for example, is being transformed by white-collar industries and, in 2008, went for Obama. Even the upscale precincts of Dallas, now a major tech city, are growing more liberal. Obama raised far more money than any other candidate except for Rudy Giuliani, the least conservative of the Republicans, in Preston Hollow, the wealthy neighborhood where George W. Bush moved after he left the White House. Put that together with the movement of rural and a lot of white, working-class Americans into the Republican camp, and you have a map that looks dramatically different from New Deal America. Nowhere has that been more apparent than in support for taxes and government spending. Earlier this year, voters in Oregon passed a ballot initiative jacking up taxes on the rich and on corporations. In the past, one would have expected opposition from the wealthy and support from the less well-to-do. But wealthy Oregonians, worried about the state’s schools and public services, helped the measure get through. It drew its strongest support from Portland and its affluent suburbs, a liberal hub of tech wealth, while many of the poorest white, working-class sections of the state, dominated by timber and farming, opposed raising taxes on the wealthy. The economic trends that have created the new economy are going to continue, but what about these accompanying political trends? If the White House and the Democratic congressional leadership were to embrace economic policies that are anathema to the new economy rich, they could drive them out, or at least to the sidelines. Included here would be restrictions on corporate offshoring and outsourcing, which many Americans would welcome but many high-tech firms would adamantly oppose; any reduction in immigration by skilled workers; tariffs on imports that could provoke a trade war; and tough new financial regulations that could upend their profits. There are Democrats who favor these measures, but, for the most part, the Obama administration does not. In fact, Obama’s outlook is very similar to that of his wealthy backers. Obama believes in activist government and redistribution, but he also embraces markets and avoids populism. He has barely lifted a finger on behalf of labor unions’ most important priority, the Employee Free Choice Act—a measure that is important to their survival. This formula is maddening to the party’s left, which points out how far short Obama falls from achieving real change, and is apparently incomprehensible to the right, which confuses Obama with Stalin or Lenin. But it is manna to Obama’s billionaires. The most prominent new economy rich are still helping the Democratic Party. On June 4, Google’s Eric Schmidt, Cisco’s CEO John Chambers, venture capitalists John Doerr and Brook Byers, and other Silicon Valley high-rollers held a fundraising event for Nevada Senator Harry Reid. Thomas Steyer has contributed recently to Democrats Barney Frank, Howard Berman, and Dianne Feinstein, while Netflix CEO Reed Hastings is backing Barbara Boxer’s reelection effort. And the Democrats who represent districts where the new economy wealthy live—Carolyn Maloney of the Upper East Side, Anna Eshoo of Silicon Valley, Henry Waxman of Los Angeles, and Jim Himes of Greenwich—are expected to cruise to reelection. New economy voters could also defect from the Democrats if the Republicans were to regularly nominate people like Schwarzenegger, Bloomberg, former New York Governor George Pataki, and Florida Governor Charlie Crist—particularly against left-wing Democrats. But, with the Tea Party growing more influential, the Republican Party appears to be moving further to the right rather than to the center. Crist is no longer welcome, and Republicans like Romney or Whitman are being forced to the right. So, it looks likely that, on a whole range of issues important to the new economy wealthy—from climate change, infrastructure funding, and education to abortion, gay marriage, and civil liberties—the Democrats will remain their party of choice. It is no wonder that Tea Party activists complain about liberal elites. The wealthiest of these not only helped Obama get elected, but are likely to keep him in office after 2012. David Callahan is a senior fellow at Demos. This article is adapted from his forthcoming book, Fortunes of Change: The Rise of the Liberal Rich and the Remaking of America.